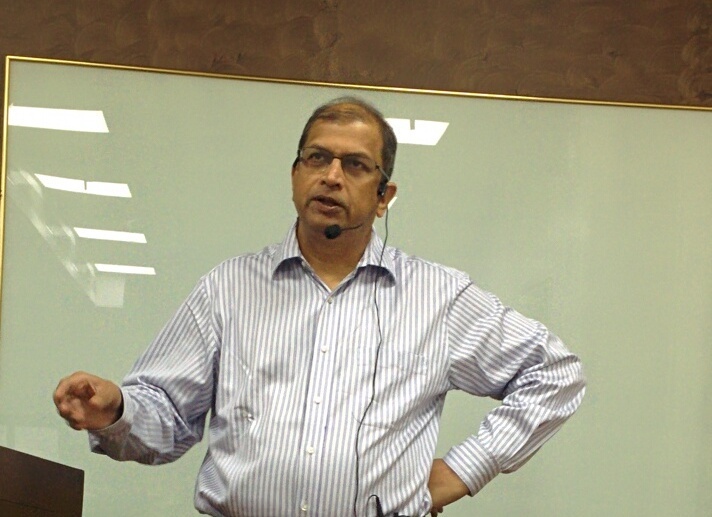 The IITBAA Pune Chapter had invited Ramesh Adavi to share his knowledge about Data Science with us on the 9th Sept. 2017 Ramesh Adavi did his BTech in Mech in 1979 & an MBA from IIM-Bangalore in 1984. To provide Business Intelligence and Optimization solutions assisted by Data Science technologies In his words-Data Science, Analytics, Machine Learning, …. are red hot subjects. At the “basics” level, these subjects are very similar. Essentially, there are NINE techniques that are “foundational”. If these techniques are understood conceptually, a person new to the field will know “what these subjects are all about”. Armed with a high-level understanding, he/she will be able to get into an in-depth study (and discussion) of these subjects, with confidence. These NINE techniques are Classification, Regression, Similarity Matching, Clustering, Co-occurrence grouping, Profiling, Link Prediction, Data Reduction & Causal Modeling. Ramesh presented this. His talk was well received. The talk lasted about 2 hours & was followed by a Q&A. There were about 70 attendees mainly IITB alumni but also alumni from other IIT’s & from IIM’s. The Pune Chapter had a Networking function on 29th July 2017 from 5pm-8pm at Persistent Auditorium. 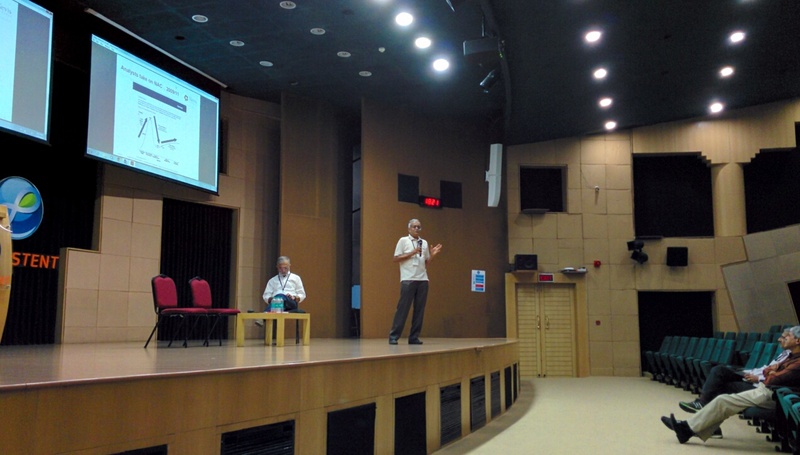 The purpose was to foster interactions between alumni of IITB & also amongst other IIT’s & IIM’s in Pune auditorium. The purpose was to foster interactions between alumni of IITB & also amongst other IIT’s & IIM’s in Pune.Persistent auditorium. The purpose was to foster interactions between alumni of IITB & also amongst other IIT’s & IIM’s in Pune. 1) There was a discussion with Radha Shelat & Raghu Iyer (C’81) from Nevis Networks about the company conducted by Nandkumar Kulkarni (C’74). Nevis Networks is the only Indian player in the NAC (network access control) space – competing with Cisco, HP (Aruba), Forescout, Pulse Secure (Juniper). Nevis was founded in 2002 to revolutionise network security by offering security for free with every switch port. It focused on insider threats and internal LAN security. It was among the earliest adopters of the model where fundraising and business development were in the Silicon Valley and Engineering was located in Pune. Ajit Shelat (C 1977, IITB) was the founder from Pune. The company accomplished quite a few technological feats. It built its own Network Processor ASIC, motherboards, and embedded switching and security software together with large management software. The company changed its product definition after Cisco coined the term NAC – Network Access Control – with its acquisition of Perfigo. NAC personified LAN security albeit in a limited sense. Nevis had NAC+. The company went thru a turbulent phase when the US operations were shut down in 2008-09 and the VCs did not fund $10M more, after funding $75M. Nevis focused on enhancing, promoting and selling its NAC products to large enterprises in APAC/MEA. The company managed to secure marquee customers from the largest private sector banks and financial and education institutes – purely on the founder’s charisma and the merits of the product. The company had a major setback when Ajit Shelat passed away in 2010. With a large staff of highly skilled engineers on its rolls and sales yet to pick up, the pressure was extremely high to get the company funded and keep cash-flows positive and employee morale high. Running a product company in India with Hi-tech products targeted at large enterprises costing big bucks, fighting Indian mindsets and prejudices and keeping employee and investor morale high is what the story was all about. 2) There was an introduction to the Venture Center by Dr. Premnath The venture center is India’s leading science business incubator. There were about 80 attendees consisting of alumni from IIT’s & IIM’s.